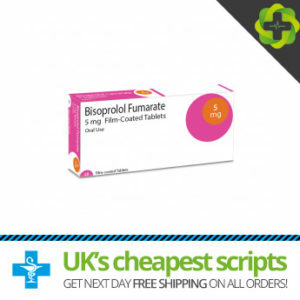 Bisoprolol Fumarate or Bisophrol is from a classification of drugs known as beta blockers and is in the form of an oral tablet. The medication is used to treat high blood pressure (hypertension) and other related problems such as angina, chronic heart disease and heart failure. 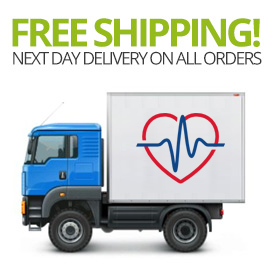 The medication works by slowing down the heart rate and ensuring better blood circulation which allows the blood to flow steadily throughout the body. The generic medication Propranolol also known by the brand name Inderal is from a classification of drugs known as beta blockers. It is used to treat a number of conditions including heart problems, hypertension (high blood pressure), arrhythmias (fast heart rate), and the symptoms of anxiety. 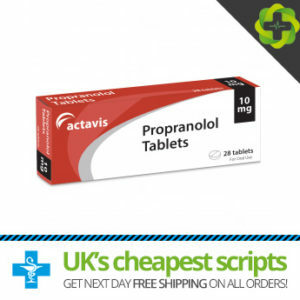 Propranolol tends to reduce the workload undertaken by the heart and blood vessels.